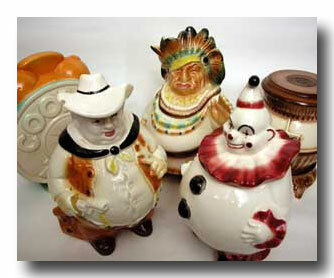 This site's goal is to showcase Lane cookie jars and to gather information about the companies that made them. Because there were at least two companies that sold cookie jars in the 1950's -1960's with "Lane" in their name, it's easy to get confused. 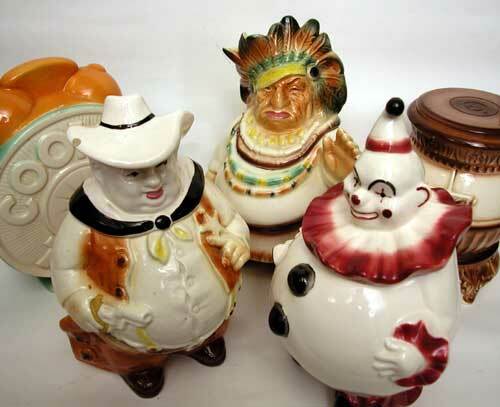 Little is known about the companies "Lane & Co" and "Lane Ceramics". 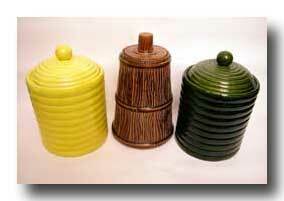 Both companies made many ceramic products other than cookie jars including serving dishes, planters, ash trays and TV lamps. With most jars, the company name and/or product number is embossed in the ceramic item, however, some were only marked with adhesive labels...loose the label, and you loose the company name. While we think that the two companies operated at different times, there is at least one instance of an item with markings of both companies on the same item. If you have information that would be of interest about either Lane company, jars, or the people who made and decorated them, please contact me (see about this site). I'd love to get more info about either company.